After refusing to answer the press about whether he’d been meeting with James Bond producers earlier this year, Poldark heartthrob Aidan Turner is now the frontrunner in the race to replace Daniel Craig as 007. “It’s just rumours. I don’t know anything about it”, Turner told the panel at the BAFTA TV Awards in May, back before Tom Hiddleston went and more or less disqualified himself from the running, and left the bets a lot more open. Overtaking War and Peace actor James Norton, who held the top odds this time last month, Turner is now at 6/4 to be Bond, while Norton is bumped down to second favourite, with odds of 7/2. A spokesperson for William Hill told The Sun: “We have seen a further run of bets for Mr Turner, including one customer looking to place a cool £1000. He has to be a contender”. Meanwhile, Suicide Squad beauty Margot Robbie is the current favourite to be the next Bond girl. Stay tuned for more developments as we hear them! Is Margot Robbie the next Bond girl? Australian stunner Margot Robbie currently holds the title of bookies’ favourite to be the next ‘Bond girl’. While the Legend of Tarzan actress keeps busy with promotion for DC’s upcoming Suicide Squad, betting shop Paddy Power has Robbie as the 12/1 favourite to join the next instalment of the 007 movie franchise. Meanwhile, Sicario action woman Emily Blunt isn’t far behind in the stakes at 16/1, and Gone Girl / ‘Blurred Lines’ model Emily Ratajkowski holds third place with odds of 22/1. Harry Potter star Emma Watson is currently listed as the outside favourite at 40/1. The leading role of James Bond is of course still in question, with existing 007 Daniel Craig looking unlikely to return for the 25th Bond feature film. Tom Hiddleston appears to have blown his high chances at taking over the iconic character, meaning other hot tips Idris Elba, Aidan Turner, James Norton and Damian Lewis could be moving up in the ranks. Stay tuned for further developments as we learn of them! Margot Robbie can next be seen in Suicide Squad, which hits UK cinemas next Friday August 5th. Today’s the day, as Spectre is finally here! Have you booked your tickets to see Sam Mendes’s latest James Bond blockbuster, starring Daniel Craig, Christoph Waltz, Monica Bellucci and Léa Seydoux? In case you hadn’t noticed, we’ve been getting in the Bond mood over the past few weeks, and now’s a better time than ever to reveal the results of our opinion polls. We had an amazing 818 TVDaily readers voting for their favourite ‘Bond Girl’, and while the results were close, Melina Havelock – played by Carole Bouquet in For Your Eyes Only – came up on top. Here’s Melina looking like a total badass with a bow and arrow. Is it any surprise she won our hearts? Our personal favourite May Day, as played by Grace Jones in A View To A Kill, came in a close second place. Meanwhile, the top ten of our long list of dangerous beauties included fan faves Solitaire, Tiffany Case, Jill Masterson, Honey Ryder, Camille Montes, Vesper Lend, Miranda Frost and Xenia Onatopp. Of course, we also asked our lovely readers to vote on the man of the hour. Which incarnation of the world famous international man of mystery is the most popular? 675 of you voted, and the results were rather unsurprising. Taking the top spot for Best Bond was Sean Connery, who played the iconic 007 in seven Bond films between 1962 and 1983. Current Bond and star of Spectre Daniel Craig wasn’t far behind, and neither was Roger Moore, who also played 007 in no fewer than seven films. We didn’t ask you which was the best Bond movie of all time, as we know that every instalment is iconic in its own individual way, and there’s simply no way of picking a favourite. That being said, make sure you check out Spectre, which is out in cinemas across the UK from today (26.10.15)! Vote: Who’s the best Bond girl? Dearest TVDaily readers, we have yet another topic for you to weigh in on! In the lead-up to the much anticipated Spectre hitting UK screens this October 26th, we’re gathering your opinions to deliver the only guide to James Bond you need. In the coming weeks, we want YOU to tell us what you love about Bond – from 007 himself, to the best Bond gadgets, and even your favourite villains. The information you give us will be featured in Issue 12 of TV Magazine, which also launches on October 26th. What a day it will be! So now’s the time to tell us; who’s your favourite Bond girl? Lord knows he’s had many in his time, so it’s a tough choice! Get voting! 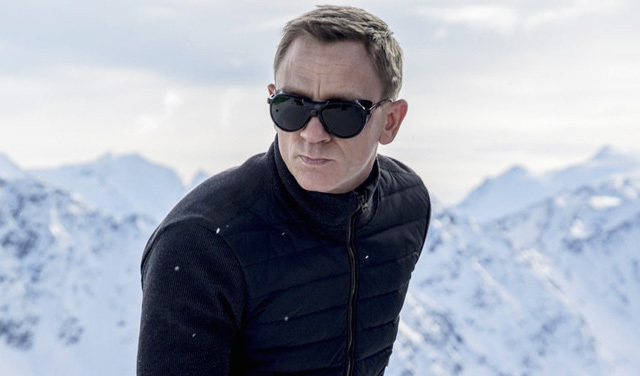 Vote: Who’s the best James Bond? Dearest TVDaily readers, we need your help! In the coming weeks, we want YOU to tell us what you love about Bond – from 007 himself, to the best Bond girls, and even your favourite villains. Up first, it’s an obvious yet very important one. We want to know; who’s your favourite Bond? From Nelson to Niven, or Connery to Craig, we think every Bond has been uniquely brilliant. So help us crown the winner of the ‘Best Bond’ title by voting below and sharing with your friends! Stay tuned to TVDaily.com for more Bond news and polls!